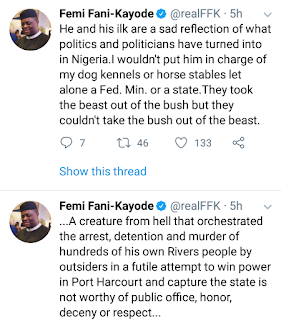 Fani Kayode Blasts Amaechi: "When A Pig Wears Lipstick, It Still Remains A Pig"
He and his ilk are a sad reflection of what politics and politicians have turned into in Nigeria.I wouldn't put him in charge of my dog kennels or horse stables let alone a Fed. Min. 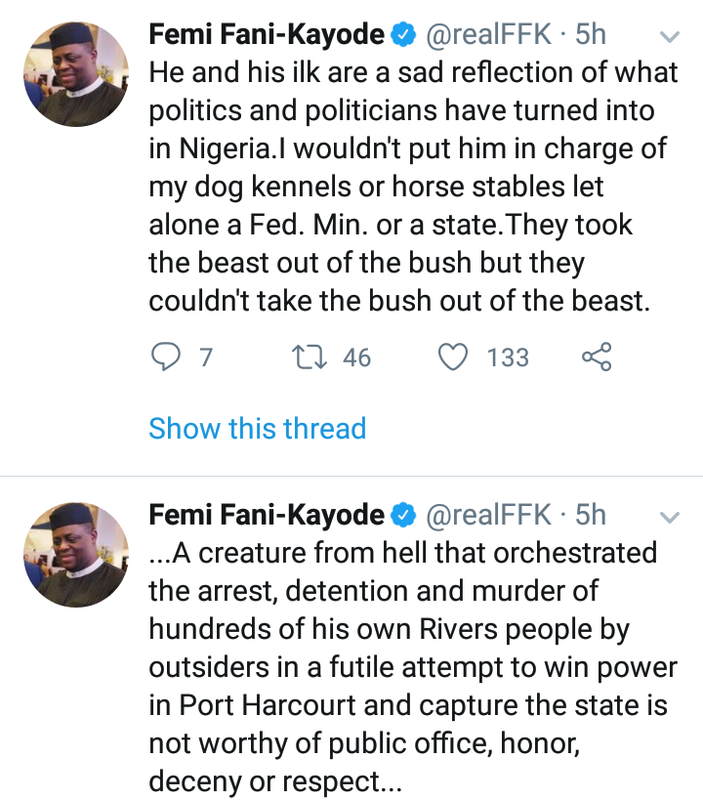 or a state.They took the beast out of the bush but they couldn't take the bush out of the beast. When a pig wears lipstick it still remains a pig and it still stinks to high heavens.When u put a dog in a palace it still remains a dog and it will poo on the rug.That is what this Haramite is:a beast in the bush,a pig wearing lipstick and a dog in a palace all rolled intoone. 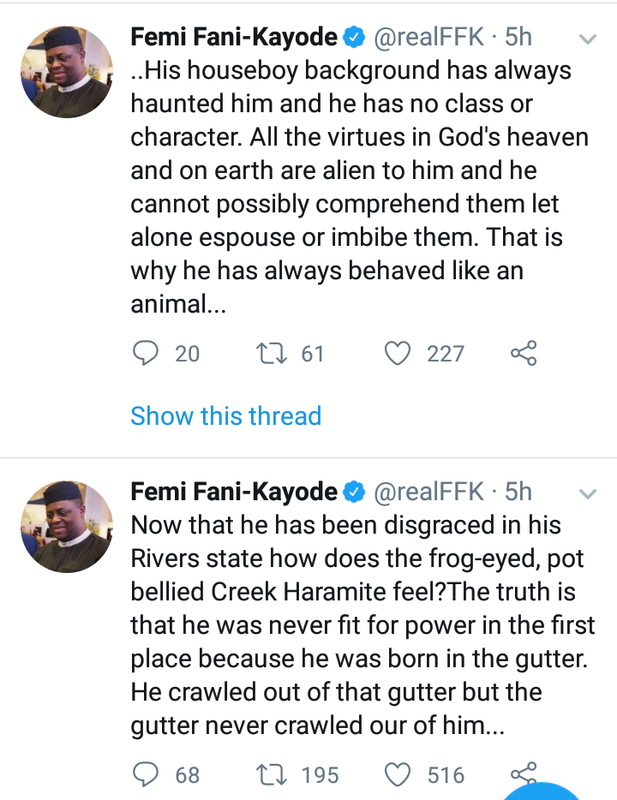 May God judge him for his psychotic barbarism and compulsive wickedness and may he pay a terrible price for his sociopathic disposition and vile inclinations both in this world and in the world to come.The blood of those that were killed in Rivers state will haunt him forever.